Join us to draw this Cleveland landmark, we'll meet on the second floor entrance to the Hyatt Regency's 1890 restaurant/lounge. 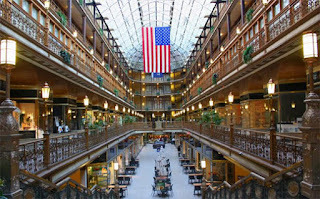 Two entrances to the Arcade, one at 420 Superior, the other at 401 Euclid. For parking, there's an attached garage on Superior or street parking.